Because we want YOU to. He’s not exactly everyone’s favorite uncle, but you probably see him more than you do most of your extended family: Uncle Sam points to every American from recruiting posters, movie screens, T-shirts, billboards and pop art. How did this bearded old Yankee get so embedded in our national consciousness? Flagg’s Uncle Sam is representative of a propaganda strategy that took the world by storm after World War I. 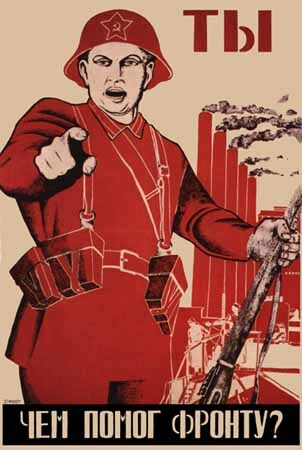 In 1916, American artist James Montgomery Flagg first made this American caricature famous as a call to war with his “I want YOU for U.S. Army” poster. The U.S. government printed over 4 million copies of the glaring, tough old Yankee between 1917 and 1918, as America charged into the First World War. Flagg’s Uncle Sam was so popular that he saw action in wars to come, representing the whole of American military might and right. Propaganda images have existed for centuries, from mass-produced images of Roman emperors to Napoleon’s clever eye for portraits. But something happened at the turn of the 20th century that made the art of visual persuasion a whole new game. For one thing, political parties started using posters en masse in late 19th- and early 20th-century campaigns. However, as historian James Thompson has discovered, they soon clocked on that the winner wasn’t always the one who could print the most posters. Instead, it was often the simplest, brightest and boldest poster and that drew the 20th-century eye. Flagg’s Uncle Sam is representative of a propaganda strategy that took the world by storm after World War I. Focusing on the individual — in art but also in politics — was all the rage, and got people’s attention in an increasingly busy world. ’Pointing posters,’ which conjured up feelings of guilt, urgency and a personal connection, started popping up everywhere. The “I Want You” poster was not actually the first of its kind. The most famous posters of the early 20th century were strikingly similar all around the world. “Pointing posters,” which conjured up feelings of guilt, urgency and a personal connection, started popping up everywhere. 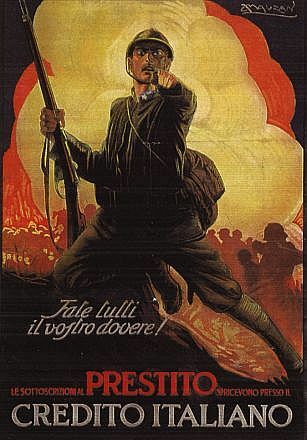 Italy ran a similar poster with an anonymous soldier in 1917. 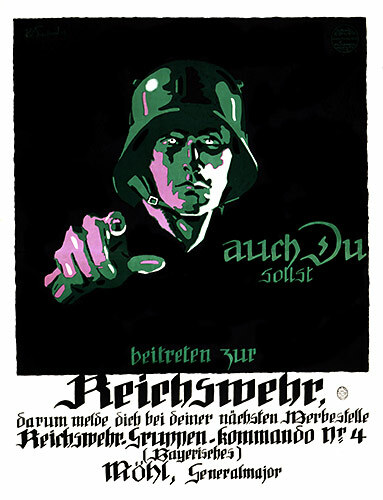 After World War I, a defeated Germany recalled their glory days with a 1919 army recruiting poster. Meanwhile, the new USSR started organizing its army with Dmitry Moor’s iconic Uncle Sam equivalent, which he later updated for World War II. It didn’t matter who the individual in the poster was — if he or she was pointing fingers, they were getting attention in a whole new way. Propaganda historian Colin Moore suggests that simplicity inspired by 20th-century industry worked best as propaganda. Flat colors, short slogans and a strong central figure appealed to increasingly modern sensibilities about art and advertising. It helped if the person featured on the poster was recognizable, but anonymous farmers, soldiers, mothers, children and revolutionaries worked just as well. Even in communist societies that scorned capitalist celebrations of the individual, propaganda artists still focused on the individual. How much have our aesthetic sensibilities changed? 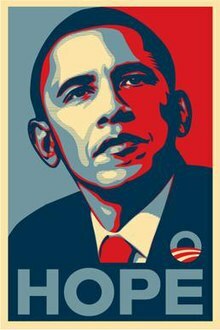 Surprisingly little, if Shepard Fairey’s “Hope” posters of Barack Obama are any indicator. 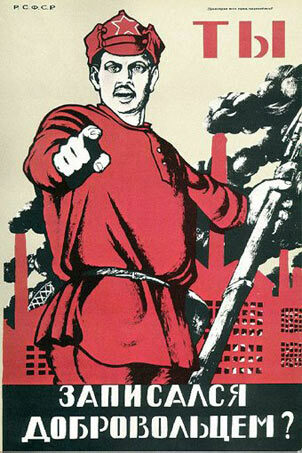 Even with the wealth of propaganda possibilities afforded by the Internet, a pointed finger can still turn heads.